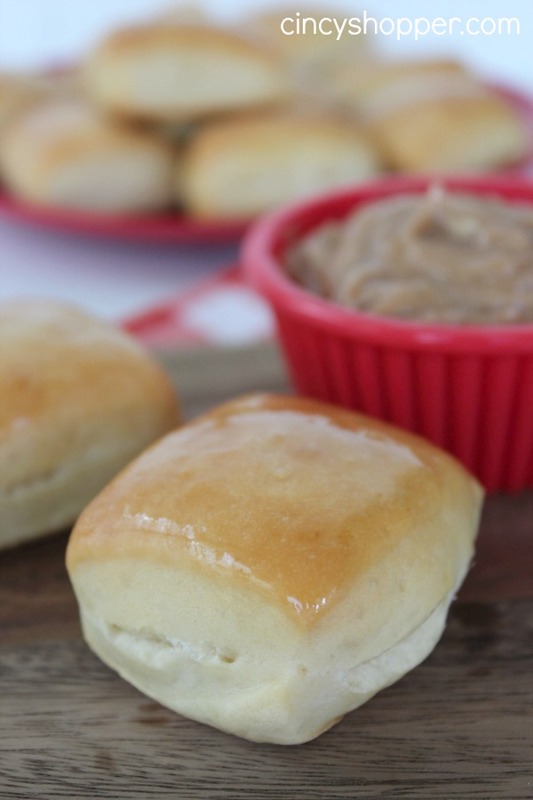 If you are a fan of Texas Roadhouse you are going to LOVE this CopyCat Texas Roadhouse Rolls with Cinnamon Honey Butter Recipe. I vividly recall my first visit to Texas Roadhouse the summer that I moved here to Cincinnati. Oh my! I was in love with the place as soon as I enjoyed my first Roll with butter. After enjoying that meal I was addicted. I am a HUGE fan of bread and rolls. This addiction to Texas Roadhouse is a similar addiction to my love for Red Lobster Cheddar Bay Biscuits. After making those at home, I no longer needed to head to Red Lobster. I live on the west side of Cincinnati and out Texas Roadhouse closed down. So taking a trip to the other side of town to Texas Roadhouse is not very convenient. After many successful CopyCat Recipes, I decided it was time to give this CopyCat Texas Roadhouse Rolls with Cinnamon Honey Butter Recipe a go! My family loves their bread. The kiddos arrived home from school and noticed these at the proofing stage. They all kept checking back in to see when these CopyCat Texas Roadhouse rolls with butter would be done. They were being slightly impatient ha ha. 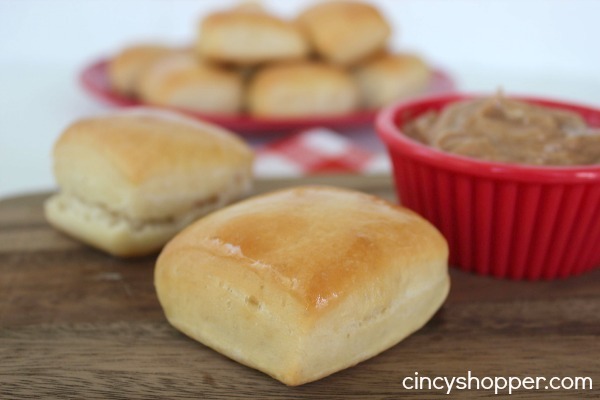 If you have never enjoyed a Texas Roadhouse Roll and Butter, you really need to give this recipe a try. The rolls have a sweet taste and obviously the Cinnamon Honey Butter really adds to the flavor of these rolls. They are a very popular item at Texas Roadhouse. Everyone patiently waits to consume tons of these rolls when we eat out at Texas Roadhouse. This CopyCat Texas Roadhouse Rolls with Cinnamon Honey Butter Recipe is quite simple and takes just a bit of time. They will be a great addition to all your meals. We actually just had them as a snack yesterday afternoon. Everyone really liked them. I look forward to making them again this weekend to have with our steak meal. 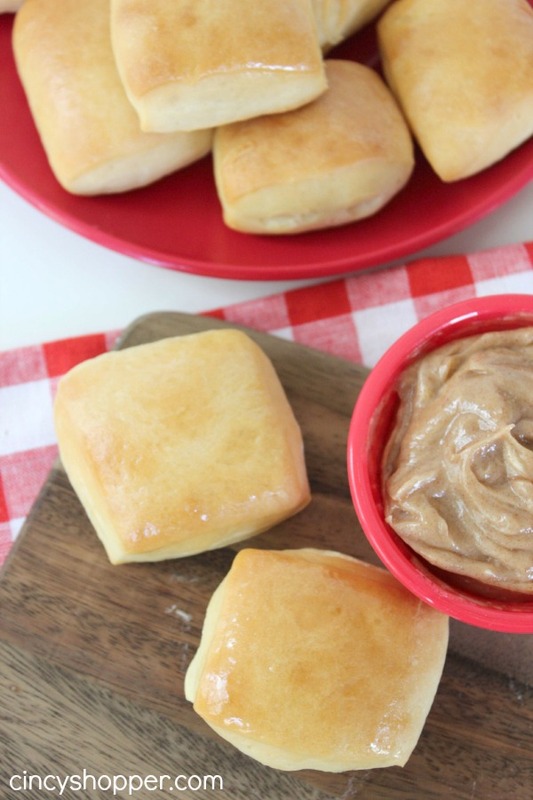 This CopyCat Texas Roadhouse Rolls with Cinnamon Honey Butter Recipe was PERFECT! Be sure to let me know if you enjoy them as much as we did. 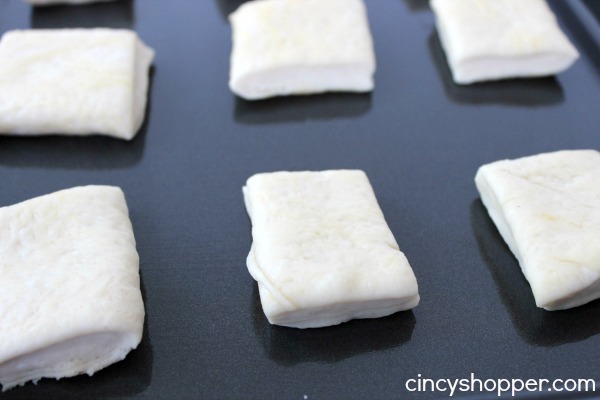 These rolls look great – I can’t wait to try my hand at them! Pinned! These look like the perfect bread basket item. Stopping by from Thrifty Thursday. 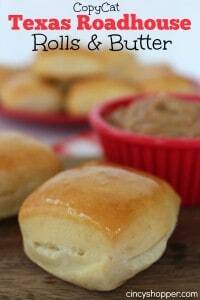 Texas Roadhouse Rolls with Cinnamon Honey Butter, bring another basket please! Have a wonderful Memorial Day Weekend and thanks so much for sharing with Full Plate Thursday. Stop this right now! I LOVE Texas Roadhouse and their flippin yummy rolls and honey butter!! We don’t have one near us so you can bet I’ll be making these soon! Thanks for the recipe! Pinned! Sounds so good! Love Texas roadhouse rolls- pinned it. Started following on Pinterest. Thanks for your recipe. Will go great with the brisket I’m smoking for my husband’s 50th birthday. These were amazing fresh out of the oven! Thank you for this great recipe! I only used like 3 cups of the flour. I found 4 was way to much and my dough was really dry and heavy! Did I do something wrong? This recepie is really time consuming and messy. If you have a lot of time on your hands and want to waste an entire Saturday afternoon prepping/cleaning/baking then this is perfect for you. Next time I will just order some rolls to go from the Roadhouse. Overall this recipe is not practical for the average person. On the positive side- I will be making the honey/cinnamon butter again to put on toast. That was the only good thing about this recipe. This is just about the EASIEST recipe out there. Any cooking involves prepping, baking and cleaning, but if you find a recipe for homemade rolls that doesn’t involve any of that, go ahead and let me know. You’re doing something wrong if these are messy and time consuming. All you do is mix the ingredients and let it rise. 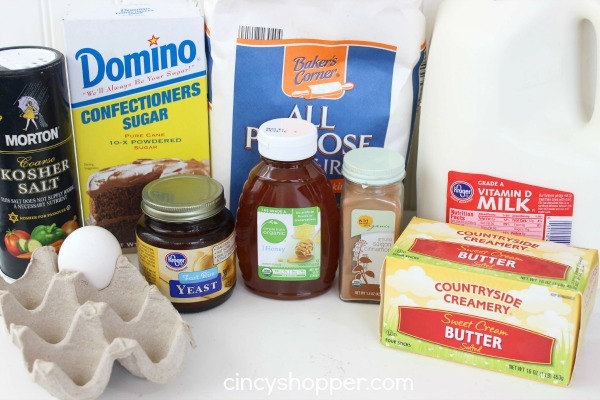 Maybe you’re just not used to cooking and baking and you buy everything premade. These are super easy. Made these tonight and loved them! The recipe was very easy and they turned out great! Thank you! After making the dough and cutting, could you freeze these? These are easy, great tasting and a real hit with everyone who has had them. Not sure why anyone can’t make these. They have super easy directions and if you have a kitchenaid you just throw everything in and presto . This is one of the best bread recipes. The only recipe that uses 1/4 cup of butter and 1 egg without sugar. And make lots of rolls. 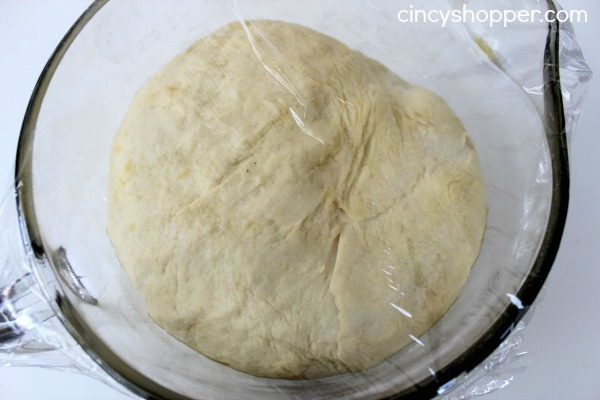 I followed everything except used my bread machine and used bread flour. Now I’m making another batch and planning to put dried fruits. Thank you for this recipe. We love your recipes at Merry Monday. Keep them coming. Sharing on social media. Saw this on the SYS link party! Excited to try it. Looks so yummy. Pinned! Thanks for the recipe. I love this style of biscuit/roll. I am printing it out as I type! Thanks! Do u have to use kosher salt, or just regular table salt will work? Anyone else notices that the butter is a little too intense??? used a 1/4 cup of powdered sugar and honey and then added a 2 tsp of salt and that made it taste great and had the same light consistency as the roadhouse. Can you leave these overnight before you bake them? Do you need to freeze them if you want to bake tomorrow? 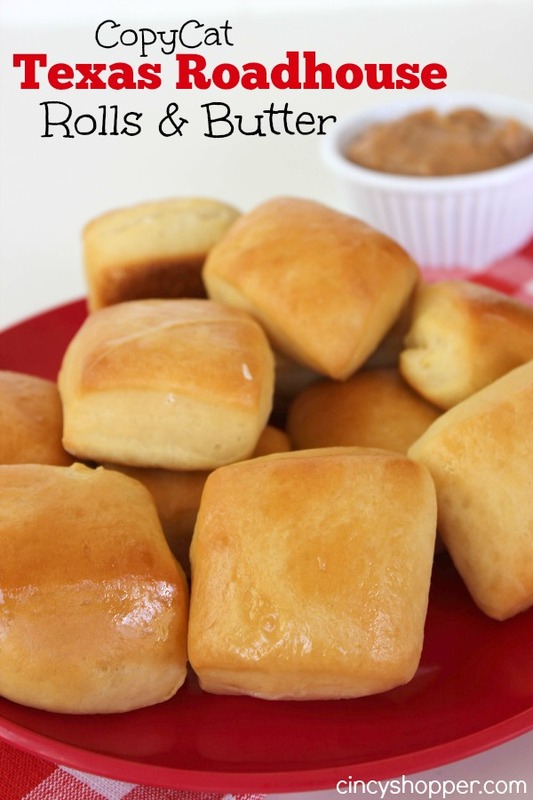 these rolls look so delicious. looks like i found my next project for this weekend :) thanks for sharing.